NOTE: We have had some people inform us of an ’empty cart’ notice on checkout. This seems to effect certain iphones and ipads. We have been in touch with shopify who are working on this issue. If you experience this bug, please use a desktop browser (Chrome) to complete your purchase. Sorry for any inconvenience. 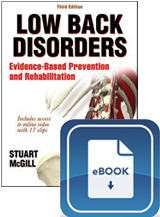 Get the latest information on evidence-based prevention and rehabilitation approaches and learn how to apply the principles in industry, sport and everyday settings. 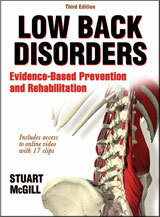 Low Back Disorders: Evidence-Based Prevention and Rehabilitation (3rd Edition) provides professionals with the foundation to make the best clinical decisions. 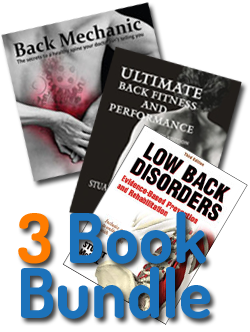 Sections on the foundation (how the back works and becomes injured), back injury prevention, patient assessment, and rehabilitation will build your understanding behind the practices so that you can use them effectively with clients.